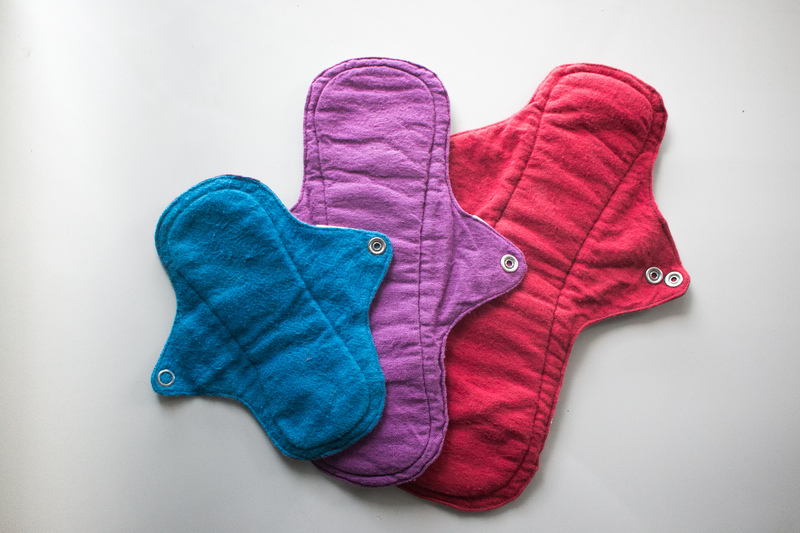 Ecopads Australia - Cloth Pads With A Cause! Will you accept our challenge to try cloth pads? I'm Freeda, a social entrepreneur passionate about the environment and equality. 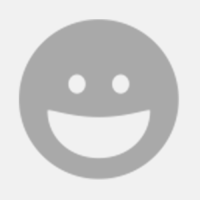 Thanks for stopping by, it's a pleasure to e-meet you! Since being introduced to the world of reusable cloth pads, there hasn't been a bone in me wanting to turn back to disposables! When I first saw a cloth pad hanging in my sister's room, my initial reaction was of confusion, disgust, surprise, acceptance and admiration all at once! Soon after purchasing a few cloth pads, I took up sewing and began making them for myself, friends and family. Ecopads Australia was born! Since then I've sold hundreds of cloth pads at markets and through our online Etsy shop. A one-for-one model makes it possible to not only tackle environmental issues close to home, but also reach out to help girls have access to sanitation in developing countries. Ecopads has now sold cloth pads to customers throughout Australia and to many other countries including Vanuatu, New Zealand, Singapore, Sweden, Papua New Guinea, Ireland and the United Kingdom! 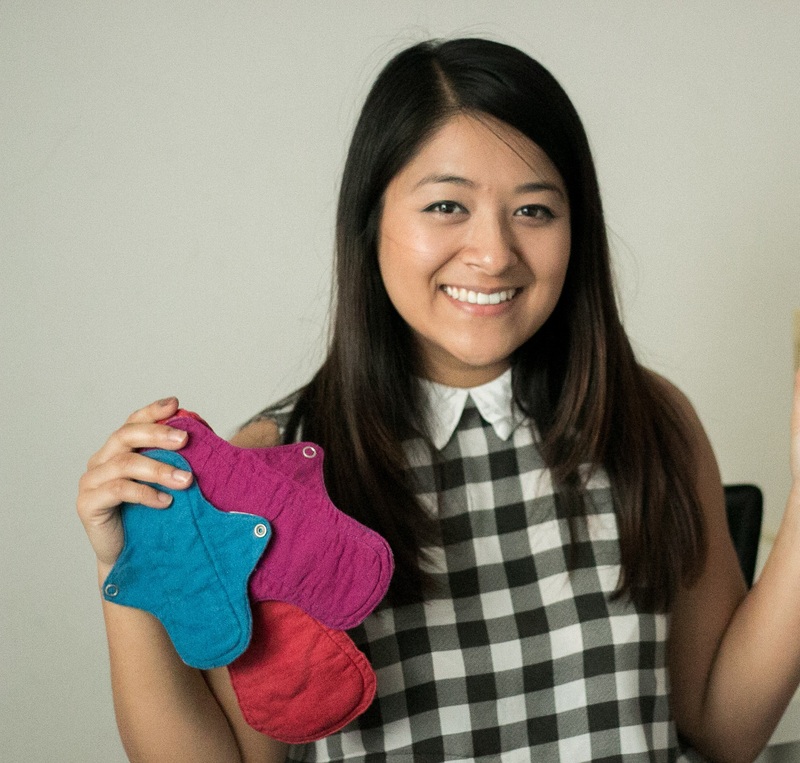 I'd love for you to join me on my journey to creating access to sanitation in developing countries by making cloth pads accessible to everyone, both here and abroad! that this small behavioural change can make a large impact on the environment and culture around menstruation. Period shaming is a confronting and pressing issue in developing countries, where women are shunned within the community. This is often a root cause for girls to drop out of school when beginning their cycles. Due to a lack of sanitary management at that time of month, we are providing a means for girls to access cloth pads through our one-for-one model. Not only are you making a beneficial choice for the environment, but also a socially valuable choice for a girl or women to enjoy a better quality of life. In making this crowdfund possible, we have partnered up with a social enterprise in India, called Eco Femme, who are helping to kick start the campaign by manufacturing high quality cloth pads. Sharing aligned values and passions for the environment, education and female empowerment, this partnership can only be secured by reaching the target value of $15,000 in 30 days! Disposables take up to 800 years to decompose. With each woman experiencing an average of 520 menstrual cycles, the numbers really add up quickly! 1 in 5 girls leave school in India, due to menstruation and lack of awareness around it. Provide job prospects to women on the ground in India. Photographed here are women employed by Eco Femme, in Auroville, India. Just a little bit about myself; I come from a rich Cambodian cultural background. My parents were both born and raised in Cambodia, and fled to Australia after escaping the civil war, for a better life here. Born in Australia, I've grown up with a very multicultural upbringing, immersed in both western and eastern cultures. I believe this has hugely impacted and shaped my perceptions of the world and guided my personal values and passions for the environment, equality and human rights. In helping to make this dream a reality, I am extremely grateful to have been selected into the IMPACT Academy Accelerator Program for 2016, who have not only fostered the growth and development of Ecopads Australia, but provided us with access to networks and ongoing one-on-one mentoring with Peter Ball. The generosity received from our partnership with Christine Thai at ctwocreative has also been phenomenal, who has ensured a personalised approach in helping with the digital space, marketing and designs of our website and collateral. Taking care of our public relations, we are thankful to have Carina Nguyen on board the team, who is passionate about making a meaningful impact in a life of someone less fortunate. Volunteers and supporters who have joined us on the journey are also part of the team, as none of this would exist without any of you. To make this a reality, we need your help! You can donate or pre-purchase your chosen amount of cloth pads through this campaign. If we are able to reach out to 428 people, who purchase the $35 'Three's a dream' pack, we'd be able to reach our tipping point of $15,000! That's probably half of your Facebook friends list! To help raise awareness on the environmental and period shaming issues that exist, please share our crowdfunding campaign, start the conversation and challenge the norms! It is our dream to have cloth pads stocked in stores throughout Australia. To make this possible we need to manufacture in bulk by raising a minimum of $15,000 to make this dream a reality! The amount of $15,000 will supply us with enough money to cover the following costs, as well as the ability to start venturing Internationally! When we reach our stretch goal, we will extend the business to have the same model in Cambodia! The ultimate dream is to have several warehouses or micro-businesses, set up in different countries to help create jobs and livelihood for those in need. If you want to donate a little something, we are truly grateful for this and will send you a handwritten thank-you note! You will be helping to send a cloth pad to a girl or woman in India, helping to provide jobs for women on the ground, and decreasing the amount of landfill caused by disposables! We'll send 2 x liner (18cm) cloth pads your way! If you are a light bleeder, or want to test out cloth on days you are spotting, this is one for you! Thank you for helping to send 2 cloth pads to girls or women in India, helping to provide jobs for women on the ground, and decreasing the amount of landfill caused by disposables! This includes shipping in Australia. Estimated delivery by September 2016. This is a really great place to start if you are completely new to cloth! Try out one of each sized pad. You'll receive 1 x liner (18cm) , 1 x regular (23cm) and 1 x overnight (26.5cm) pad! Thank you for helping to send 3 cloth pads to girls or women in India, helping to provide jobs for women on the ground, and decreasing the amount of landfill caused by disposables! This includes shipping in Australia. Estimated delivery by September 2016. This is an option for you to donate $50 to Ecopads Australia. Thank you for helping to send 8 cloth pads to girls or women in India, helping to provide jobs for women on the ground, and decreasing the amount of landfill caused by disposables! We will send you a post card letting you know where your pads have gone to help make a difference! If you are wanting to make a complete change to cloth, this is a fantastic option for you! You will receive 2 x liners (18cm), 2 x regular (23cm) and 2 x overnight (26.5cm) pads! Thank you for helping to send 6 cloth pads to girls or women in India, helping to provide jobs for women on the ground, and decreasing the amount of landfill caused by disposables! This includes shipping in Australia. Estimated delivery by September 2016. This is an option for you to donate $100 to Ecopads Australia. Thank you for helping to send 20 cloth pads to girls or women in India, helping to provide jobs for women on the ground, and decreasing the amount of landfill caused by disposables! We will also publish a shout out in thanks to you on our website blog! If you'd like to purchase some cloth pads in a group this is a great option to save some bucks! You will receive 50 cloth pads, in your choice of sizes. Thank you for helping to send 50 cloth pads to girls or women in India, helping to provide jobs for women on the ground, and decreasing the amount of landfill caused by disposables! We will be in touch to confirm sizes and get to know you! We would love to partner with businesses and stockists whose values and ethos align with ours. You will receive 130 cloth pads of your choice to stock in your business. Thank you for helping to send 130 cloth pads to girls or women in India, helping to provide jobs for women on the ground, and decreasing the amount of landfill caused by disposables! .Additionally, you will be a partner on our website, and we will publish a YouTube video dedicated to communicate with our viewers about you and how our partnership exists. We will be in touch to confirm sizes and get to know you! Become a corporate sponsor! We would love to partner with businesses and stockists whose values and ethos align with ours. You will receive 280 cloth pads of your choice to stock in your business. Thank you for helping to send 280 cloth pads to girls or women in India, helping to provide jobs for women on the ground, and decreasing the amount of landfill caused by disposables! Additionally, you will be a partner on our website and we will dedicate a YouTube video to communicate with our viewers about you and how our partnership exists. We will be in touch to confirm sizes and get to know you!